March Madness at AMDA 2015 Annual Meeting – power play by team BPCI sweeps the event. The PA/LTC medical community arrived in Louisville, KY just as the 2nd round of the NCAA tournament kicked-off. Perhaps the manic energy of the fans in this basketball crazed State was infectious? Perhaps it is just that full effects of the PPACA’s tsunami in health/medical services finally hit the PA/LTC community? Regardless of the reason, the attendees at this year’s meeting were more aware of the changes occurring than at any time in the past dozen years I’ve belonged to the AMDA. Prior to the meeting, I doubt if more than 5% of the attendees had ever heard mention of CMS’s Bundled Payments for Care Improvement (BPCI) Initiative. This is one of the multiple CMS-CMMI experiments in payment and delivery reform (which includes the multiple ACO versions). A set of CMS deadlines for implementing the last, and largest round of BPCI programs, were being reached as the meeting got under way. I could see that topic being inserted into agendas on-the-fly. Before reviewing the meeting, here is a basic introduction to BPCI for anyone unfamiliar with the initiative. BPCI Basics– The program, authorized in the PPACA, is run out of the CMS Center for Medicare and Medicaid Innovation (CMMI). It is one of 8+ active initiatives that test new delivery system strategies. In 2012 CMMI issued a Request for Proposals (RFP) – interested parties were encouraged to submit proposals to become Convening Organizations. Those organizations created provider networks that accepted financial risk for improvement in care (reduce overall cost). 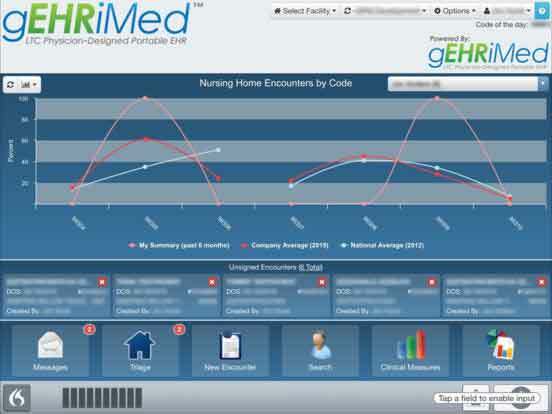 This program pays for episodes of care, usually triggered by a hospital admission. (This is different than the ACO model that covers an entire population for a calendar year). The bundle corresponds to all the care paid by Medicare Parts A&B related to a Hospital DRG. Bundles can cover 30, 60, or 90 days following the episode’s start date. For the PA/LTC community, two of the models (types 2 & 3) are relevant. Model 2 starts with the hospital admission. Either the Admitting Physician, or the Hospital can be the risk bearing party (physicians are 1st in line). There are at least two physician led projects – Orthopedic Bundles, and Hospitalist Bundles. Model 3 starts at the Admission to a PAC provider (e.g. LTACH, SNF, HHA). In either model, the care is delivered under FFS reimbursement. At the end of each episode, total Part A & B expenditures for the episode are totaled by CMS (retrospective reconciliation). Prior to starting the BPCI program, CMS analyzes the historic episode costs for the risk bearing provider’s patients in each DRG related bundle. After a series of adjustments, the average expenditure for the bundle becomes the basis for setting a target spending rate. Periodically, the actual costs for all patients with a particular DRG are compared to those targeted spending rates. Gains/losses are calculated, and allocated between CMS and the risk bearing provider/organization. The risk bearing provider, in partnership with providers throughout the continuum has a strong financial incentive to improve the organization/coordination of care and drive down the cost. The overarching topic for the AMDA conference was Quality; that subject provided ample opportunity for presenters to incorporate discussions on Payment Reform. During the course of the meeting, it became obvious that a few large organizations (both medical groups, and facility chains) were immersed in risk-based payment programs like BPCI. It was equally apparent that most attendees were still unaware of how these changes are affecting them. This post is focused on a review of a meeting (The LTC Vision Group) that occurs the Wednesday prior to AMDA 2015’s official start. That meeting encapsulated the breadth of payment reform and the resulting strategies undertaken by providers. It is an event designed for Practice Managers and Clinical Leadership of large, or growth focused, LTPAC practices. This meeting, free of the constraints of a long range scheduling paradigm, tries to focus on the most current issues in this fast-changing environment; BPCI and related issues dominated the meeting. BPCI is a perfect example of why an informal program like the Vision Group conference is so useful. Except for the few PA/LTC groups large enough to be ‘at risk’ providers, most of the audience wasn’t aware of the multiple programs already in place, or starting this spring/summer. This year, and for four previous meetings, a coalition of larger LTC Medical groups organize a ‘practice management pre-conference’. This is simply a self-organized event to cover emerging issues that don’t fit in the more clinically oriented Annual Meeting. For historic reasons, we call this the Vision Group meeting. Basically, the program consists of informal presentation by Practice leaders with knowledge/interest in a particular set of emerging problems. Representatives of approximately 30 larger groups attended along with AMDA Staff and key vendors. Kelsey Mellard, MPA, Executive Director Post-Acute Care Center for Research. The program began with an excellent presentation by Kelsey Mellard from PACCR; a recently formed organization that focuses on analytics for the LTPAC environment. Kelsey was one of the original staff at CMMI, worked for Optum/UnitedHealth, and is still employed by NaviHealth (a BPCI Convener). PACCR’s Senior VP, Dr. Barbara Gage, is a research fellow at the Brookings Institute who was a leader in developing the Care and B-Care assessment tools that serve as a platform for the upcoming IMPACT Act’s patient assessment tool. Kelsey’s presentation, made from a policy analyst’s point of view, illustrated the large ‘spend’, and significant regional variance, in Post-Acute Services. She went on to describe how this unexplainable variance was attracting scrutiny by MedPac, CMS, and Congress. Dr. Kerry Weiner, Chief Medical Officer at IPC, was originally slated to talk about ACOs and PQRS reporting. However, since IPC had publically announced its plans to become a Model 2 BPCI episode initiator via its Hospitalist service, he refocused the presentation on that subject. It was quite instructive listening to his perspective on the anticipated impacts of BPCI on practices like IPC. Listening to these two back to back presentations had a sobering impact; many members of the audience had believed our world was going to change. Hearing a policy analyst describe the logic behind BPCI, followed by the practice leader for the largest hospitalist/LTPAC medical group describe its BPCI plans, you knew that change had arrived. My next article in Caring for the Ages, AMDA’s news magazine for LTC Practitioners, will focus on BPCI’s effect on LTPAC Medical Practices. AMDA’s policy leaders delivered the next program segment – Alex Bardakh (Sr. Director of Government Affairs), and Chuck Crecelius, MD CMD (Chair of the Public Policy Committee) debriefed the audience on the major initiatives of the past year. Their particular focus was on the overarching problem Cost of Care for LTPAC Medical Groups. CMS evaluates every medical group practice for cost and quality against a series of national benchmarks. For Cost, we are compared to ambulatory practices that treat a younger and healthier population. The ‘risk adjusters’ used by CMS to normalize cost do not work for the patient population attributed to LTPAC groups. See my December, 2014 blog post which gives a background on the issue. Alex and Chuck also offered an analysis of problems with the Chronic Care Management CPT code (99490), approved by CMS for 2015. The final code was a chopped-up amalgam of the AMA’s original intent and CMS’s objectives. As described by CMS, it applies to over half the Medicare population (2 or more lifelong chronic conditions). The practitioners who proposed the original set of codes to the AMA wanted to focus on the frail elderly population with multiple complex chronic conditions. Many members of the audience had received local MAC guidance that the code would be covered in the SNF/NF Setting. (For reference see my March blog post for background on the code). Alex explained that the AMA’s coding guidelines specify that the code is not covered in the Nursing Facility setting because care planning is part of the services required under the Facility’s Conditions of Participation. The AMA’s valuation of the code counted nursing staff employed by the Medical Group – where in LTPAC, the facility or institution is usually the Nurses’ employer. AMDA has heard from many members that there is a major desire for this code, or a similar code specific to Nursing Facilities, to be covered by CMS. There is a demand for more patient engagement, and no time/resources available for that service. Alex and Chuck also opined on the significant difficulty Medical Groups will face in trying to operationalize any code that requires a care plan shared with the patient/family in the LTC setting. That observation provided a perfect segue for the final program segment – the Vendor Panel. One thing almost all the Vision Group’s participants share is a desire to improve their organizational efficiency. The majority already employ an EHR, and the others are working on a selection/implementation strategy. The universal problem faced by these groups in the difficulty connecting with their Facility’s EHR (if one exists). Those of us who work with the IT side of LTC medicine recognize the problem is communications, not technology. All the major vendors for LTC Facilities are working diligently on developing Physician Interfaces. When medical groups ask their facilities for an interface, they are told to talk to the vendor. Those vendors haven’t had a direct connection with most medical groups; they rely on physicians and NPPs employed by their customers (facilities) – who don’t have the challenge of covering facilities with multiple owners. The Vendor panel was conceived to bridge that gap – introduce the major facility software vendors, AmericanHealth Tech, MDI Achieve/Matrixcare, and PointClick Care, to the groups in the audience. Each of the three vendors described their goals for connecting their product with facilities’ attending physicians. They are now critically aware of the need for integration to meet the growing reimbursement challenges faced by the facilities – the same topics covered in the 1st three segments of the meeting. In subsequent editions of this blog, I’ll cover the ins and outs of developing the interfaces between facilities and medical groups. For readers who are interested in a more in-depth exploration of IT strategies I urge you to register for the LTPAC HIT Summit, hosted by AHIMA. This meeting, in Baltimore June 21-23, is always the year’s best educational opportunity for understanding the rapidly emerging landscape for LTPAC technology. Program leaders from government, providers, and vendors gather to collaborate on strategies to organize and implement the LTPAC arena, the ‘missing link’ in the Nation’s health IT strategy.